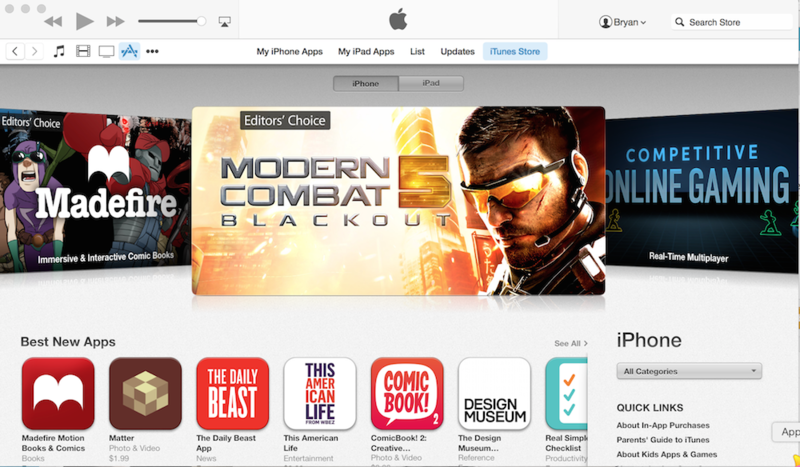 In this first beta version of iTunes 12, the iBookstore is no longer accessible. Instead, books must now be purchased through the separate iBookstore Mac application. The iTunes Store continues to offer audiobooks. This is a great move on Apple’s part, and I hope this eventually leads to separating the iTunes Store from iTunes. I really feel Mac users would benefit from a separate iTunes app, which would includes iTunes music downloads and iTunes Radio. Separating videos would also be a nice step. Alas, changes like these are not in iTunes 12 — at least for now. The iTunes sign in button has been moved to the top right of the screen. Once logged in, the button becomes a pull-down menu where you can access account information, launch your wish list, or redeem a code. This little change makes iTunes a little bit less cluttered, which is a nice touch for an application that is sometimes accused of being bloated. Apple has also reorganized the navigation bar, which now includes individual buttons for Music, Movies, Television Shows, and Apps. Other less-used options now sit behind a "more content" menu. In iTunes 12, there is no longer a main iTunes Store page, where Apple highlights different types of media. Instead, Music is the default page. I'm not sure this change will carry over to the public release of iTunes 12. Hopefully, it will not. Switching between the iTunes Store and your local library is no longer achieved through the use of a toggle. Instead, you choose from a list of options. For example, under the Apps section, you'll see "My iPhone apps," "My iPad Apps," "List," Updates," and "iTunes Store." Under Movies are links to "My Movies," "Unwatched," "Playlists," and "iTunes Store." 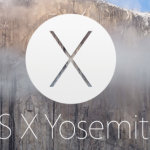 We'll continue to highlight upcoming OS X Yosemite features in the weeks and months to come. 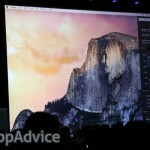 Most likely, the first public version of OS X Yosemite will be released onto the Mac App Store in October. See also: Apple explains how to fix code already redeemed error for the Yosemite public beta, Apple to launch iOS 8 and OS X Yosemite separately despite tight integration features, and Apple's OS X Yosemite Is Already More Popular Than OS X Mavericks.